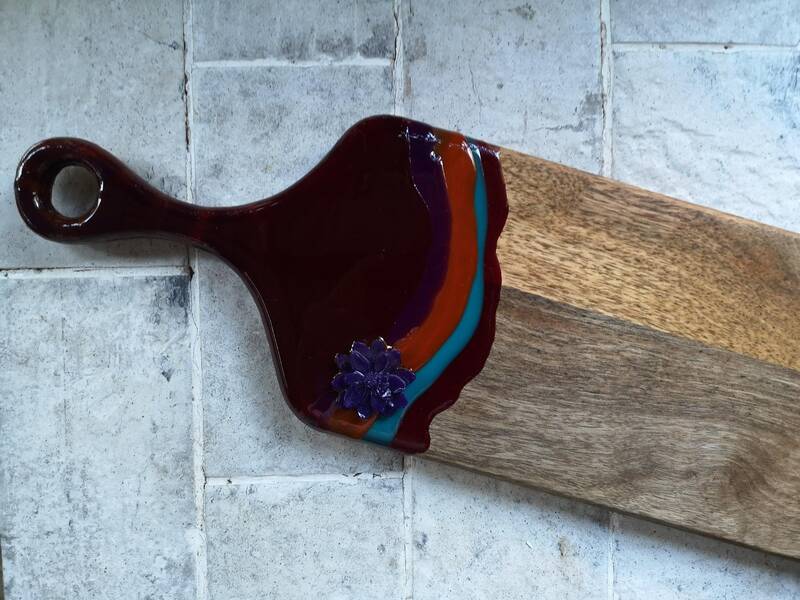 Mango wood chopping board or cheeseboard custom painted with resin artwork. Powdered resin pigments from Pigment Tokyo were used for each of the colours. A Purple resin lotus flower I made has been added for texture and interest. The back of the board is plain. Dimensions of this board: approximately 15cmW x 57cmL (including handle) x 2cmD.